In the last blog we shared about ‘Autoimmune issues’ as there’s been a lot of talk regarding what it means to you. Please note that you should get yourself diagnosed by a Doctor or Nutritional Expert as the scientific evidence is constantly evolving. Start with getting additional help – if you need to get certain tests done, whether they are blood or excrement tests, have them done by the right specialists. This will allow the doctors and specialists to check for various imbalances. A dear friend Sandra, who is a Dietitian / Nutritional specialist based in Zurich can be contacted for her guidance at info@nutrition-az.com. She can also direct you to recommended gastroenterologists that she works with. Whilst autoimmune issues can be quite disheartening and stressful, you can start by changing your diet and making notes about how you feel after eating certain foods. If you have any of these common symptoms, hopefully they are not that serious and will go away with time. However, if they are persistent, please get yourself checked out. 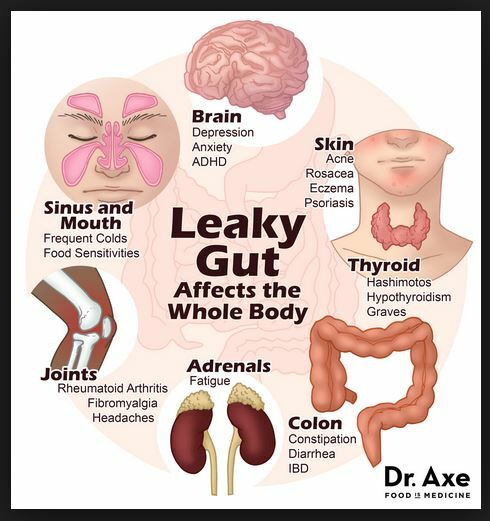 You might think that leaky gut only affects the digestive system, but the truth is, it can affect the body is so many other ways. So what’s eating dirty about? To support a healthy gut and encourage immune system response, we need to ensure our body has the right organisms. Our body needs a daily dose of elements, minerals and nutrients to regenerate cells and function well. These include oxygen, iron, magnesium, calcium, phosphorus and more, in addition to the water we should consume. When we have foods that are rich in Soil Based Organisms (SBOs), these plants are grown in environments where the soil is rich and containing high active microorganisms. The organisms should protect the plants from becoming contaminated or undernourished. Have you ever seen giant healthy vegies grown in someone’s loving backyard or allotment? Scientific literature often references soil-based organisms. Foods that are healthy, rich in nutrients, elements, amino acids, vitamins and calcium can assist with how one deals and treats certain health conditions. Disclaimer: This is by no means an instruction for readers to stop seeking medical advice or to stop taking medication prescribed by doctors. For example, when my Grandparents and parents were young and growing up in Italy, they hardly ever had any kind of skin conditions. Their base ingredients were grown in the garden without pesticides, the butchers and farmers were using real feed for their animals, and the foods were made at home with love. (This doesn’t mean they didn’t have other health issues growing up, though most of these have been treated with modern medicine.) Before refrigerators, foods were often buried in the ground or maintained in a dirt cellar. The microbes in the soil helped preserve the foods whilst the lower temperatures kept bacteria away. We used to play in the dirt, in vegetable and flower gardens, touching feeling and enjoying the earth between our finger. Instead, we are more obsessed with over Sanitising and killing any kind of bacteria – Note, it is necessary after using bathrooms and before eating! The introduction of fast foods, processed ingredients, abundance of sugars, salts and E numbers have seen a new generation of health concerns from weight gain, skin issues, and more. If you were to do an experiment to see if there’s a difference in your health status, it would involve increasing the intake of foods that are high in soil-based organisms and maintaining a healthy balanced diet. 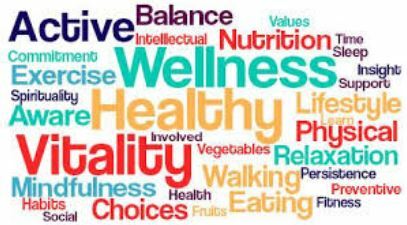 For example, if you had conditions like allergies, irritable bowel syndrome, flatulence, indigestion, autoimmune & inflammatory diseases, fungal infections and nutrients deficiencies, see what happens if you changed your overall diet for a while. Soil-based organisms will help nourish the cells in the colon and liver and allow for the creation of compounds like Vitamins B, K2, antioxidants and enzymes .They will also help balance the immune system, reducing inflammation as well as fight off harmful bacteria like Candida, fungi and parasites which could block or damage the lining in the gut. • Start by not sanitising your foods. Wash your vegies that you buy fresh with running water, but don’t scrub them with brushes and produce washes. 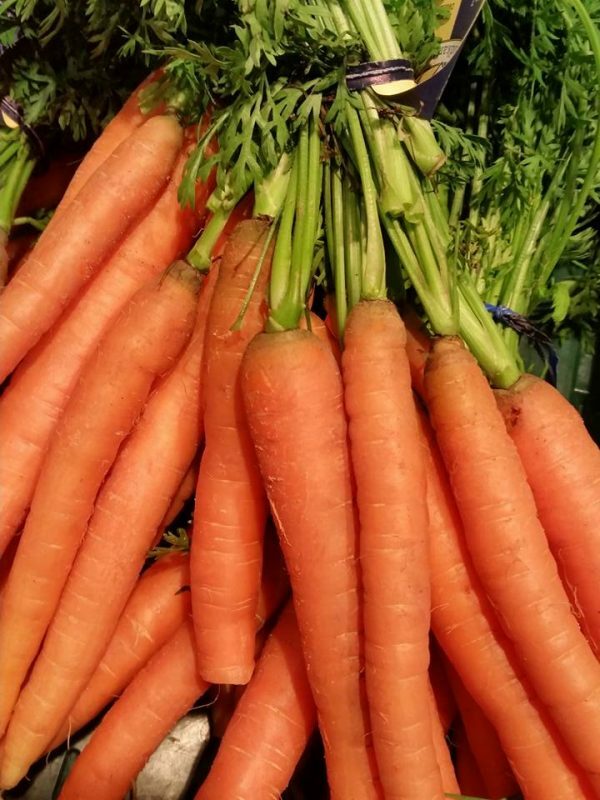 The carrots will contain beneficial microbes and some 500 milligrams of dirt, which is about the size of an average supplement capsule. • Include Probiotic Foods to your diet like Kefir, Yoghurt, Sauerkraut (which is cabbage cut fine, salted, and allowed to ferment until sour). The pasteurising process destroys microorganisms that are not desired by applying heat to control the rate at which fermentation takes place. This process is applied to drinks such as milk, wine, beer, cider as well as to foods such as cheese and crab meat. Destroying the enzymes could be why many of us have developed an intolerance to lactose. Kefir could assist with improving digestion or malabsorption of lactose. • Raw Honey & Bee Pollen consumption has helped many with seasonal allergies, hay fever and inflammation. A good friend of mine has been taking & administering to her family 2 teaspoons of honey every day to prevent allergies. The natural immunisation of the microbes contained in the honey and pollen become part of your gut, nourishing any gut bugs as it allows you to adjust to the seasons and environment. I will have to start this with my husband! • Incorporate and Live Life Outside – Swim in the ocean or lakes, play in the parks and gardens, get yourself grounded. Get a dog (if you are not scared of them like me!) take your shoes off and walk on the grass and feel the earth between your toes for a dose of ‘microbes’.Remember the film, ‘Pretty Woman’ when she says, “Let’s Cop a Squat and take a day off’ as she took his shoes off to touch the grass! • Eat Dirt Apparently the best dirt-based supplement is ‘Shilajit (shee-lay-jit) which comes from the bordering Indian & Tibet regions of the dense, nutrient and mineral rich soils of the Himalayan mountains. This supplement contains over 85 minerals, humic and fulvic acid which help the body to carry minerals through the thick cell walls and assists the longevity of the cell’s life. It is often used by the agricultural industry as a soil supplement. 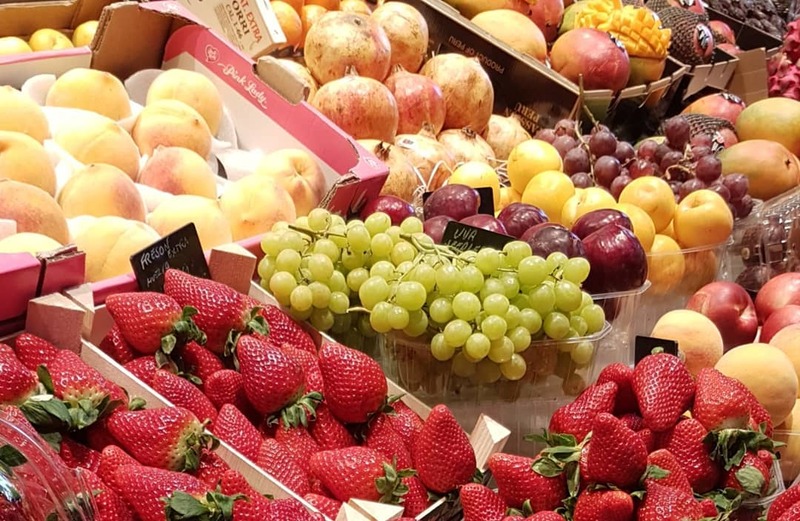 So whilst we try to eat a healthier balanced diet, including foods that have high active microorganisms will assist our bodies to repair internally. They will help regulate the immune system, reduce inflammation of the gut naturally as the walls are strengthen and protected. And as we start to enjoy life outside, back to our roots, consuming foods as they were intended to be eaten. 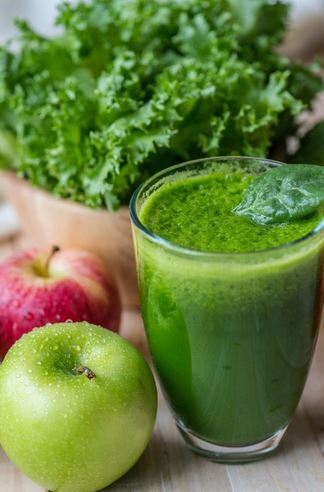 Ideally, removing foods that can cause damage to the gut is necessary. Replace these with foods that help heal, repair and rebalance with probiotics and supplements. I will write more about microbiome, foods that heal and probiotics in the coming blogs. Begin a new page – seek alternative methods if you don’t want to take medications as there are plenty of new options. Whether these options are through the Nutritionist, Specialist, Acupressure, Reflexology, Herbal teas & medicines, Homeopathy pills as well as Conventional medication. 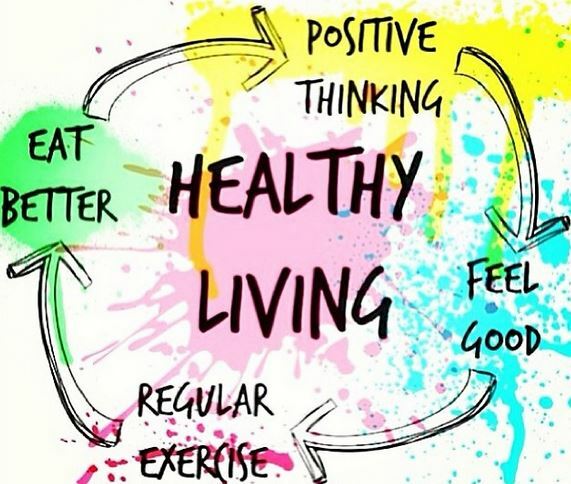 Your goal should be to find a solution that gives you well-being to your Mind, Body & Spirit a Holistic balance of all these. What do you do with the vegies that you buy? Have you always eaten a balanced healthy diet? What did your parents used to eat when they were growing up? Feel free to comment and share your personal stories below. 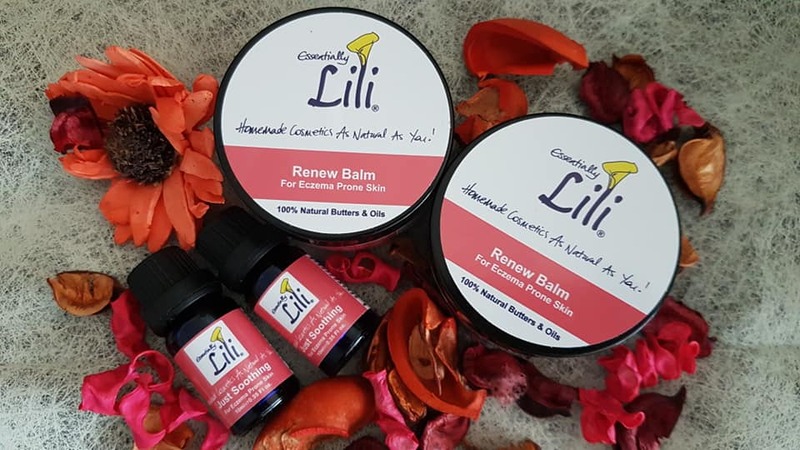 About Lili & Essentially Lili –My Health Studies include from 2016-2019 Diplomas in Aromatherapy, Holistic Skincare Products, Clinical Nutrition, Stress Management, Reflexology, Holistic Pain Management, Member of International College of Holistic Medicine. You can read more If you wish to know more about Clinical Nutrition and how to kick start your health, book a private Consultation . My aim is to help you get the results you want as I have already been on that hard journey to overcome the autoimmune disorder. Please send an email to info@essentiallylili.com should you need further assistance. 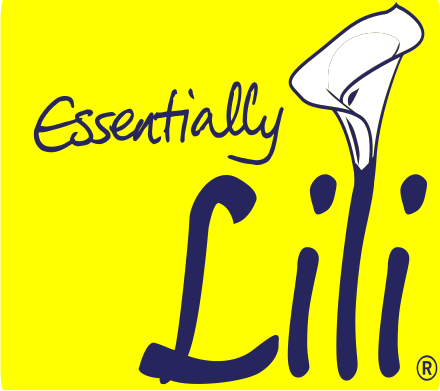 At Essentially Lili, the products made are all using 100% Natural Ingredients . See the wide variety of Products available on the webpage. You can also request to join the various groups I have set up.You can ask your questions and discuss your thoughts/concerns about health, skincare and nutrition. I share not only what I have studied with the school in London about Nutrition and the Body, but what the other experts write too. 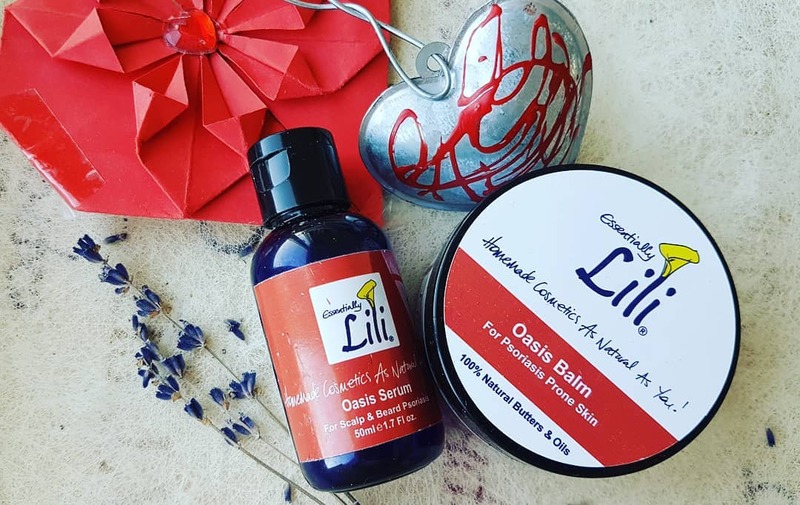 Essentially Lili Q&A – Taking Care of Your Skin andEssentially Lili Nutrition & Well Being. Your feedback allows us to improve.We look forward to hearing from you, With Loving Regards Lili.